Cover a bare bulb or add Tiffany-inspired accent lighting wherever you want it. 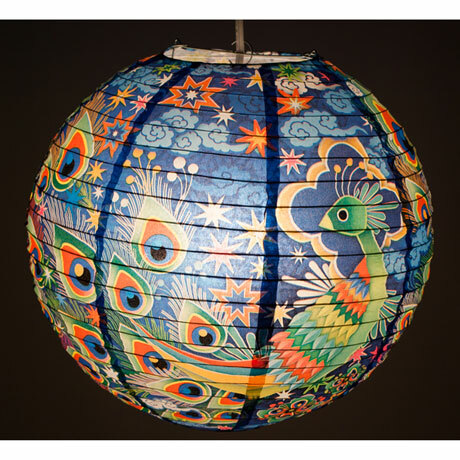 Colorful lantern arrives flat and springs into the classic oval paper-lantern form. About 14" diameter. 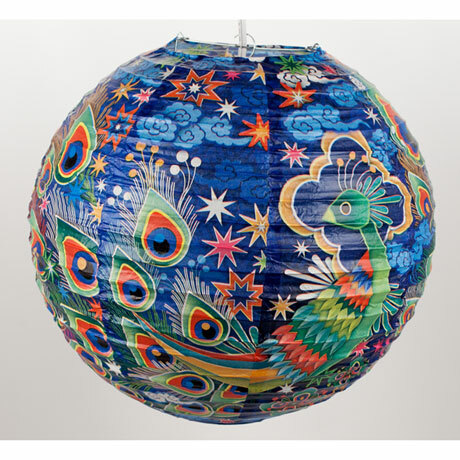 Hang it on an existing bulb or add the cord kit (HU4842) if you're starting from scratch.